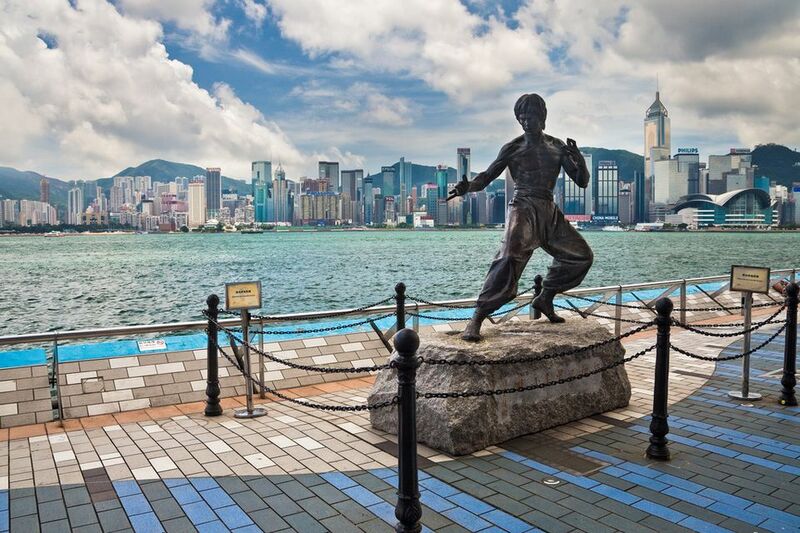 Hong Kong movies are considered some of the best in the world and it's not all about Kung-Fu. To sort the wheat from the chaff, Li Cheuk-To of the Hong Kong International Film Festival Society has hand-picked the top 10 ​Hong Kong movies. All the films below are widely available and can be purchased with English subtitles. Dastardly imperial agents Kung Fu kick their way through ghosts, spirits, and a haunted house. Think Ghostbusters Bruce Lee style.
" Hu was the first Hong Kong film director to make it big on the world stage, and this is his masterpiece. Many directors such as Ang Lee pay homage to Hu in their films." One of Hong Kong's most famous films pits Bruce Lee against Chuck Norris, as Lee attempts to protect his family restaurant in Rome, Italy. "This is the only film in which Lee both directs and stars. It should be included if only for the fight sequence at the end, which is a classic." One of Jackie Chan's first movies sees the young Chan sent away to be instructed by his uncle in the ways of the 'Drunken Master' fighting style. If you've ever wondered what Jackie Chan would look like after necking a bottle of Jack Daniels, you can find out here as he wobbles and stumbles to beat the bad guys. "This features both the director and the star at the height of their powers. Chan's performance as a Chinese folk hero is a defining moment in Hong Kong cinema." Chow Yun Fat brings his armory of weapons to shoot at everything that moves in this triad tale of brotherly hate. This action, crime thriller propelled Fat onto the world stage. "Although he has had more famous hits in the West, this was Woo's breakthrough film and it broke all box-office records in Hong Kong." A special effects masterpiece, that revolves around a Leslie Cheung love affair and lots of high flying sword battles with ghosts and ghouls. "This film was a milestone in the development of special effects in Hong Kong cinema, and the film itself is a fabulous mixture of fantasy and action." One of Wong Kar-wai's earlier films, before he became a darling at Cannes. Days of Being Wild is a heavy, introspective drama about a man's search for his birth mother. A true tear-jerker. "There are many Wong Kar-wai films that could appear on this list but Days of Being Wild launched his career and, more importantly, established his style for later films." One of Hong Kong's most popular films. Funnyman Stephen Chow's bow on the blockbuster stage sees romance, action and of course comedy. "This film was so popular in China among students and intellectuals that much of its language has been assimilated into modern use a cult classic"
Remade by the big wigs in Hollywood as Martin Scorcese's The Departed, Infernal Affairs is a gripping thriller about an undercover cop and a triad mole in the Hong Kong Police Department. "This re-worked the popular genre of the undercover cop and took it to new heights, and is probably one of Hong Kong's best-loved films." If it's triads you want, Election is filled with them. Loyalties, rivalries and rolling battles in Hong Kong's explosive answer to the godfather. "Johnnie To is one of the most important filmmakers working in Hong Kong today. This wonderfully crafted film is his most ambitious project." An introspective look at Hong Kong's search for identity in the run-up to the city being handed back to China from Britain. "Chan saved up his film stock from previous films to use on this production, which had almost no budget. Full of raw energy it is one of the most successful independent films in Hong Kong history"